For those of us who read and write Regency romances or those who live in places such as the United Kingdom, the idea of “Primogeniture” is quite obvious, but to the majority of U.S. citizens, the concept is difficult to wrap one’s head around. Primogeniture is the right, by law or custom, of the firstborn male child to inherit the family estate, in preference to siblings. In the absence of children, inheritance passed to collateral relatives, usually males, in order of seniority of their lines of descent. The eligible descendants of deceased elder siblings take precedence over living younger siblings, such that inheritance is settled in the manner of a depth-first search. Variations on primogeniture modify the right of the firstborn son to the entirety of a family’s inheritance or, in the West since World War II with the wider promotion of feminism, eliminate the preference for males over females. Most monarchies in Europe have eliminated male preference in succession: Belgium, Denmark, Luxembourg, Netherlands, Norway and Sweden. The United Kingdom passed legislation to establish gender-blind succession in 2013 but delayed implementation until the 15 other countries which share the same monarch effect similar changes in their succession laws. An ancient and alternative way in which women managed to rise to power, especially without displacing the direct male line descendants of the first monarchs, is the historical consortium or coregency between husband and wife or other relatives. The most notable of these are the Egyptian cases of Hatshepsut and Thutmose III, as well as the Ptolemaic Dynasty’s kings and queens. In 1980, Sweden amended its constitution to adopt royal succession by absolute primogeniture, displacing King Carl XVI Gustaf’s infant son, Carl Philip, in favor of his elder daughter, Victoria, in the process. Several other monarchies have since followed suit: the Netherlands in 1983, Norway in 1990, Belgium in 1991, Denmark in 2009, Luxembourg in 2011 and the United Kingdom in 2013. **With the birth of Infanta Leonor of Spain on 31 October 2005 to the Prince and Princess of Asturias, Spain’s Prime Minister Zapetero reaffirmed his then government’s intention to amend the Spanish constitution by introducing absolute primogeniture. Zapatero’s proposal was supported by the leader of the main opposition party, the conservative Partido Popular, making its passage likely. However, Zaptero’s administration ended before any amendment was drafted, and the succeeding government has not taken up the issue. Prince Felipe has counseled reformers that there is plenty of time before any constitutional amendment would need to be enacted as the expectation is to leave him next in line to succeed his father despite his elder sisters’ continued status as dynasts; equal primogeniture is expected to first apply to his children. **In July 2006, the Nepalese government proposed adopting absolute primogeniture, but the monarchy was abolished 28 May 2008. **In 2011 the governments of the United Kingdom and the other 15 Commonwealth realms whose head of state is also the British monarch announced the Perth Agreement, a plan to legislate changes to absolute primogeniture. This will be implemented in all 16 nations simultaneously once the necessary legislation has been passed in each country (in the U.K. this is the Succession to the Crown Act 2013). **In Japan, debates have occurred over whether to adopt absolute primogeniture, as Princess Aiko is the only child of Crown Prince Naruhito. However, the birth of Prince Hisahito, a son of Prince Akishino (the younger brother of Crown Prince Naruhito, and next in line to the Chrysanthemum Throne following Naruhito) has sidelined the debate. **Absolute preference is given to the direct descending line over the collateral and ascending line, and, within the same line, the closest degree takes precedence over the more remote and, within the same degree, the elder over the younger, combined with the principles of firstborn and representation. **Men and women have an equal right of succession to grandeeship and to titles of nobility in Spain, and no person may be given preference in the normal order of succession for reasons of gender. Male-preference cognatic primogeniture allows a female member of a dynasty to succeed if she has no living brothers and no deceased brothers who left surviving legitimate descendants. A dynast’s sons and their lines all come before that dynast’s daughters and their lines. Older sons and their lines come before younger sons and their lines. Older daughters and their lines come before younger daughters and their lines. This was the most common primogeniture practiced in Western European feudalism, such as the Castilian Siete Partidas. Male-preference primogeniture is currently practiced in succession to the thrones of Monaco, Spain, Thailand, and the sixteen Commonwealth realms. (This was recently changed by Queen Elizabeth II prior to the birth of Prince George of Cambridge.) It also was practiced in Portugal and the Empire of Brazil. When an agnatic primogeniture system altogether excludes females from inheritance of the family’s main possessions, it is known in Europe as application of the Salic law. By the beginning of the 19th century, only the royal houses of Bourbon and Savoy, among Europe’s historic national dynasties, continued to completely bar women from succession. Later, the new monarchies or dynasties of France (under the Bonapartes), Belgium, Denmark (beginning in 1853), Sweden (beginning in 1810), and the Balkan realms of Albania, Bulgaria, Montenegro, Romania, and Serbia introduced Salic law. During this era, Spain and Portugal fought civil wars which pitted the Salic and female-line heirs of their dynasties against one another for possession of the crown. 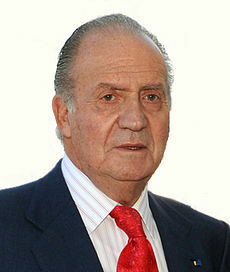 A variation on Salic primogeniture allows the sons of women to inherit, but not women themselves, an example being the Francoist succession to the throne of Spain from 1947 to 1978. This is the law in Liechtenstein and in the former Archduchy of Austria. Under uterine primogeniture, kinship (of males and females) is determined by tracing through only female ancestors to commonality: A male may also inherit a right of succession through a female ancestor or spouse, to the exclusion of any female relative who might be older or of nearer proximity of blood (see above for Spain’s mid-twentieth century dynastic succession law). In such cases, inheritance depends on uterine kinship, so a king would typically be succeeded by his sister’s son. This particular system of inheritance applied to the thrones of the Picts of Northern Britain and the Etruscans of Italy. Some kingdoms and tribes in Africa follow the same practice. This usage may stem in part from the certainty of the relationship to the previous king and kings: sons and daughters of a sister are, even if they don’t have the same father, his relations (mater semper certa est). Another variation on agnatic primogeniture is the so-called semi-Salic law, or “agnatic-cognatic primogeniture”, which allows women to succeed only at the extinction of all the male descendants in the male line. Such were the cases of Bourbon Spain until 1833 and the dominions of Austria-Hungary, as well as most realms within the former Holy Roman Empire, i.e. most German monarchies. This was also the law of Luxembourg until equal primogeniture was introduced on 20 June 2011. There are various versions of semi-Salic law also, although in all forms women do not succeed by application of the same kind of primogeniture as was in effect among males in the family. Rather, the female who is nearest in kinship to the last male monarch of the family inherits, even if another female agnate of the dynasty is senior by primogeniture. Among sisters (and the lines of descendants issuing from them), the elder are preferred to the younger. In reckoning consanguinity or proximity of blood the dynasty’s house law defines who among female relatives is “nearest” to the last male. This entry was posted in British history, customs and tradiitons, Great Britain, Living in the UK, political stance and tagged primogeniture. Bookmark the permalink.